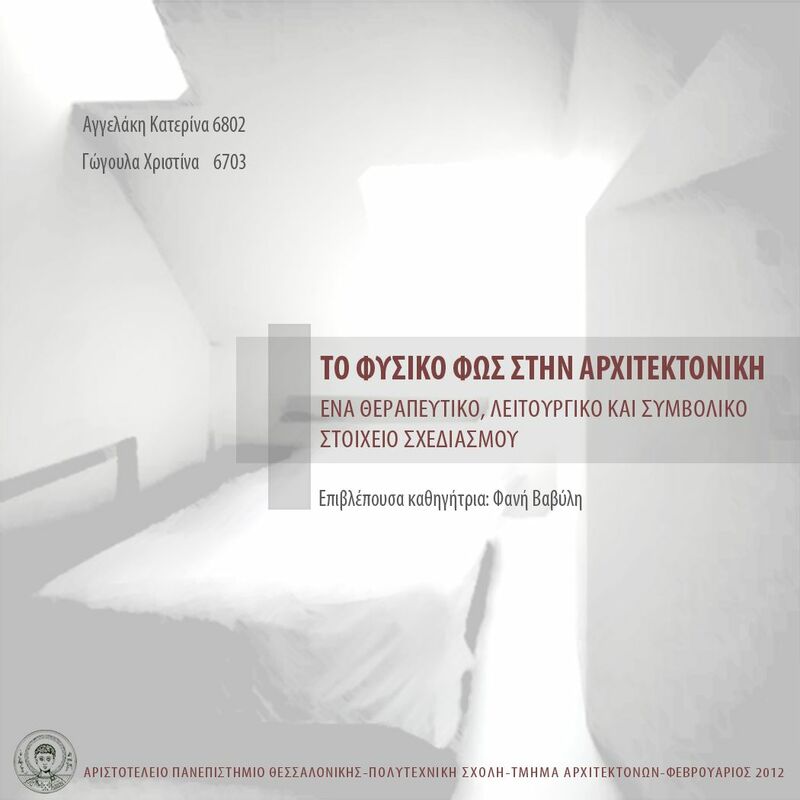 "THE DAYLIGHT IN ARCHITECTURE - A SYMBOLIC, FUNCTIONAL AND HEALING ELEMENT OF ARCHITECTURAL DESIGN"
The main puprose of this research was to emphasize on the healing role of natural lighting in human health. and the positive effect of a "healing" architecture in patients' recovery in hospitals. Daylight is not only a functional and symbolic element of architectural design, but an extremely important factor in producing a human and healing architecture for hospitals and health centres. Αναρτήθηκε από Gogoula Christina στις 6:28 μ.μ.